Stay with a local family (which can be arranged through your school). I spent three weeks living with a family and three weeks living in a hostel. Both options are relatively low cost but each option has its own benefits. Here are 6 helpful tips I learned from first-hand experience that can help you decide which environment is right for YOU! 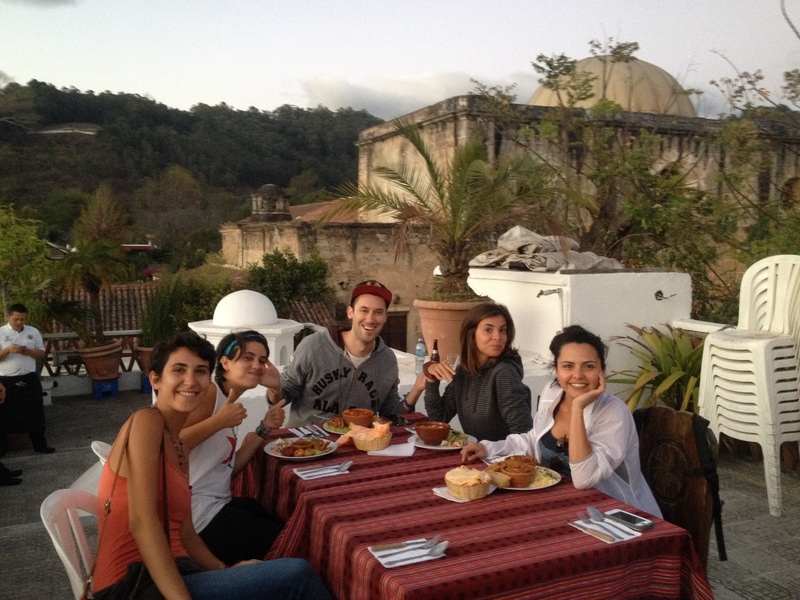 The homestay experience allows language students to pay a reasonable fee to live and eat with a local family. When I signed up for language classes in Xela, Guatemala I opted for the homestay experience as it was my first time living in a foreign country. I appreciated the peace of mind I received paying one fee to have all of my food and shelter arrangements taken care of. This relieved significant weight from my shoulders so I could concentrate my energy on my studies. The weekly fee of US$155 included 25 hours of private classes at the Celas Maya school plus the homestay package with a local family. Meals were provided by the family 6 days a week. 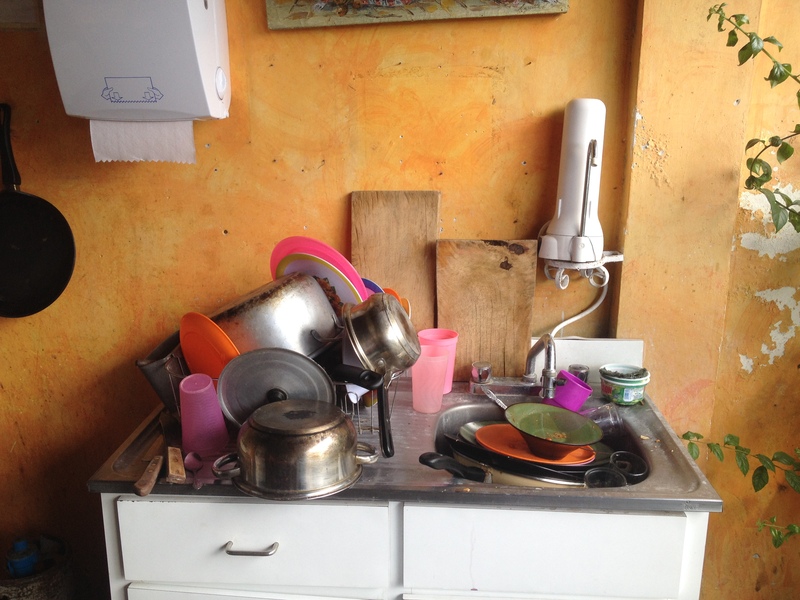 On Sunday, students must make their own arrangements for meals which is a common practice for most homestay contracts in Central America. The meals prepared by my host family were very basic and there wasn’t much variety from one day to the next. I found them to be hearty enough that I did not need to purchase additional food. Students eat whatever the family eats and while each household is slightly different, a staple in most Latin American homes is beans and rice which was served at least once per day by my host family. Families are open to supporting dietary restrictions but in order to ensure the cost benefit ratio serves their interest, they will not increase your food budget. If you want to increase your meat intake or eat extra veggies every day, you will need purchase those items yourself and the family will cook them for you. The best way to create a more authentic immersion experience is to live with a local family. This increases the opportunity for engaging with locals in your immediate environment. Every time you sit at the dinner table for example, you will have the opportunity to practice your new language. You can’t help but pick up a language faster when everywhere you turn, you are forced to communicate in that new language. Also, living in the same space as a local family will allow you to connect more deeply with their culture. Homestay families will provide the quiet environment necessary for you to study and get your required rest so you can maximize your potential for learning. Hostel Bedroom 1 or 2- View of my hostel bedroom. Antigua, Guatemala — April Beresford. Hostels provide basic services to customers and in turn, provide very inexpensive accommodations to travelers. Most travelers only stay a few nights while they are passing through town, so hostel managers are willing to negotiate a deal on the price when customers are able to commit to a longer stay. While pricing out hostels can be more time consuming than paying for a homestay, in the end you will have more selections to choose from. Also, hostels often provide customers with free wifi access. Your homestay family is unlikely to provide this so your internet access would then be limited to being on-site at your language school. Many hostels will provide free coffee, tea and water throughout the day whereas in a homestay situation, you will be limited as to when and how much you can use of these items. Often guests have access to a shared kitchen space where food can be prepared and stored. You can eat whatever you want, when you want (as long as you respect the kitchen’s hours of operation). When committing to a homestay on the other hand, you must respect the families designated meal times and this creates obvious barriers to your freedom if you prefer to come and go as you please. Living in a hostel, if you purchase food at a local market and prepare it yourself you can stay healthy, and keep costs down or you can choose to attend restaurants as you please. 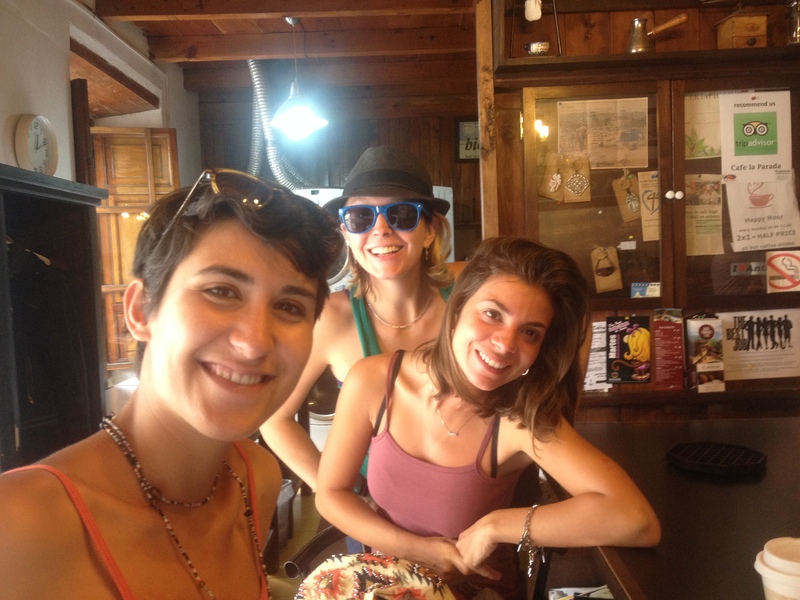 The point is, that by utilizing a hostel for accommodations you operate on your own schedule at all times. Learning a new language will be mentally draining. Staying at a hostel will open you to the opportunity of potentially interacting with people who speak the same language as you do. This will give you a break from the immersion experience if you are finding this type of environment too isolating. Lots of new people from all over the world come and go from hostels every day which will expose you to a diverse range of cultures. The hostel environment does however, run the risk of diverting your attention from your studies as they often cultivate a party culture. This can be very distracting as you might be easily swayed to stay out late, getting to know a stranger, when you need to wake up early for school the next day. If you possess unwavering discipline, you will remain a step ahead of the game. The strategies presented in mind will definitely help set you up for success as you take on this new venture. If you have any additional questions about selecting language schools , or creating strategies to optimize your learning, please feel free to comment on one of the 3 articles in our Language School series. We are happy to help support you on your quest to learn a new language.